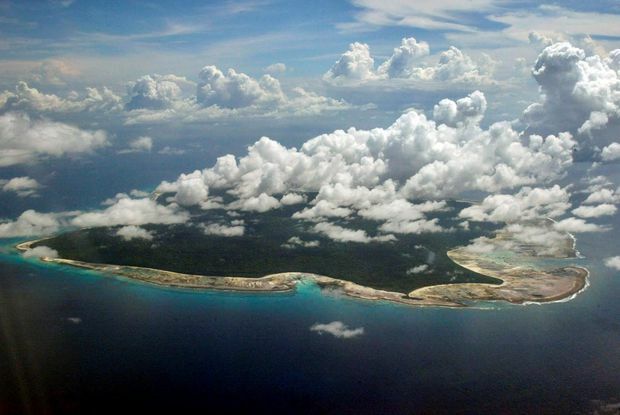 They use spears and bows and arrows to hunt the animals that roam the small, heavily forested island and gather plants to eat and to fashion into homes. Their closest neighbours live more than 50 kilometres away. Deeply suspicious of outsiders, they attack anyone who comes through the surf and onto their beaches. American adventurer John Allen Chau, right, stands for a photograph with founder of Ubuntu Football Academy, Casey Prince, 39, in Cape Town, South Africa, in October, 2018, days before he left for a remote Indian island of North Sentinel Island, where he was killed. 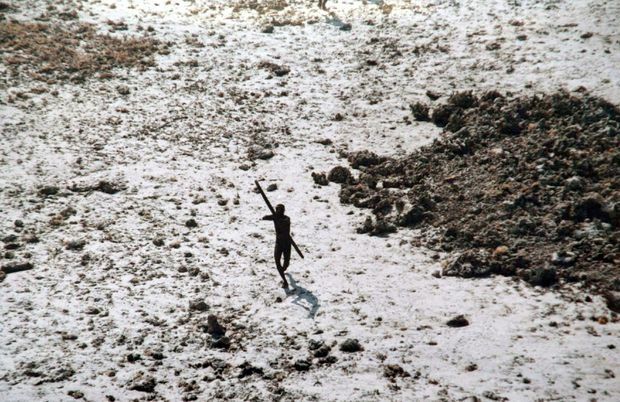 In this handout photo provided by the Indian Coast Guard and Survival International and taken on Dec. 28, 2004, a man with the Sentinelese tribe aims his bow and arrow at an Indian Coast Guard helicopter as it flies over North Sentinel Island in the Andaman Islands, in the wake of the 2004 Indian Ocean tsunami.